Doha, Qatar – Sasol, the international integrated chemical and energy company, offered its support to the deaf community through its ‘Accessible Qatar’ Ambassadors Program by donating resources to the deaf winter camp. The camp, held annually by the Qatari Center of Social Cultural for the Deaf (QCSCD) and attended by nearly 100 members of the community, features various sport, cultural and entertainment activities for the deaf community while promoting a spirit of teamwork and inclusion. Sasol’s support comes as part of their leading CSR initiative ‘Accessible Qatar’. Said Al Marri, Accessible Qatar Ambassador representing the deaf community, participated in the camp’s activities and actively works to empower deaf communities, plan activities, and raise awareness about the hearing-impaired. Sasol launched its Accessible Qatar Ambassadors Program to empower disabled individuals and provide a platform that enables them to improve disabled access around Qatar and raise awareness. Accessible Qatar announced its three 2019 ambassadors during a multi-activity event held last December on the occasion of International Day of Persons with Disabilities, with Faisal Al Kooheji representing the visually impaired, Abdulrahman Qassim Al Yafei representing the physically disabled, and Said Al Marri representing the deaf community. The donation included a tent and portable toilets fully equipped to suit the needs of the deaf community. Sasol’s senior management visited the deaf winter camp, interacted with the deaf community and joined the attendees in some games, activities and motivational talks, demonstrating Sasol’s spirit of caring about the communities where it operates. Jack Saba, Sasol’s General Manager of Public Affairs, commented: “We are delighted to support QCSCD’s deaf winter camp for the second year, not only by donating resources but by also highlighting this camp as a platform for empowerment among the deaf community.  We are committed to continue our support to the deaf community, as well as other disabilities in Qatar, strengthening and promoting inclusivity and accessibility, which is being demonstrated by our leading corporate social responsibility initiatives Definitely Able and Accessible Qatar”. Accessible Qatar initiative provides the disabled community instant information about the accessibility of public and touristic venues through a smartphone application and website www.AccessibleQatar.com. Since the launch of its “Definitely Able” and “Accessible Qatar” initiatives as part of its CSR program, Sasol made considerable progress in its endeavors to empower the disabled community in Qatar.